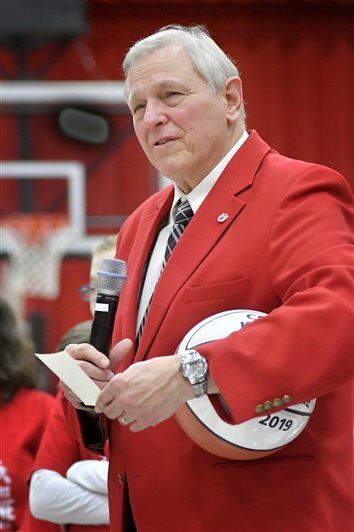 Twice a year, I have the honor of talking to high school students at the Manahan Orthopaedic Capital Center as part of the Champions of Character initiative Grace College is so deeply imbedded in. 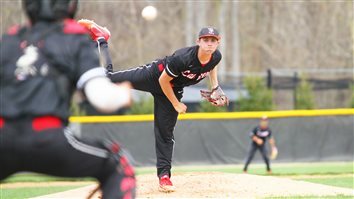 Grace’s baseball team came up short against Marian on Monday in a doubleheader at Miller Athletic Complex. 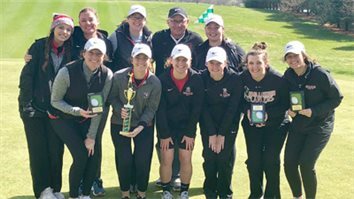 After one day and 36 holes at the Crossroads League Championship, Grace’s women’s golf team sits in fourth place. 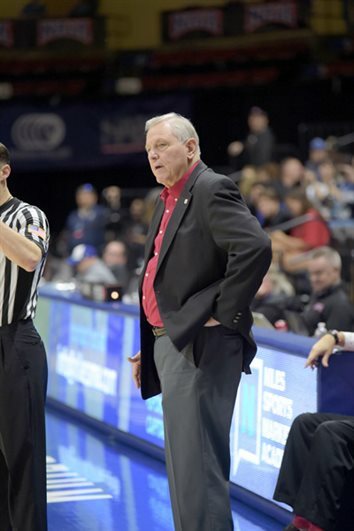 race College did everything it could to send its head coach out a winner, and it was more than enough to give Jim Kessler one last victory on the floor named for him. 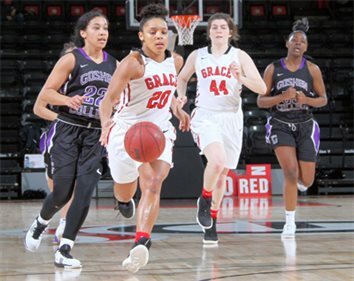 Grace’s women’s basketball team went toe-to-toe with the defending NCCAA national champions on Thursday. In the second-to-last game of head coach Jim Kessler’s career, Grace’s men’s basketball team cruised to an 89-61 win over Nebraska Christian on Thursday morning. 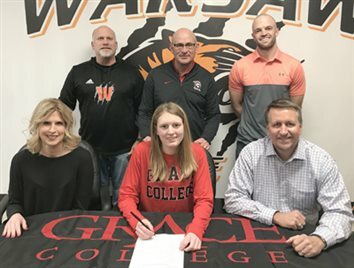 WINONA LAKE – The Grace College women’s basketball team scored the first six points of its game on Wednesday night and never relented. The Lady Lancers (17-15) opened up the NCCAA National Championships in style with an 88-52 waltz over Bluefield College at the Manahan Orthopaedic Capital Center. 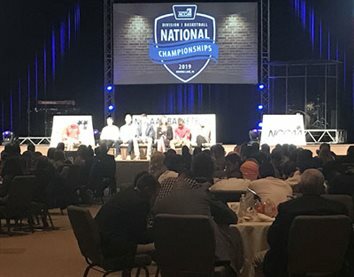 Over the course of the next four days, 16 basketball teams – eight men’s and eight women’s – will compete against each other in the NCCAA National Championships at Grace College’s Manahan Orthopaedic Capital Center. 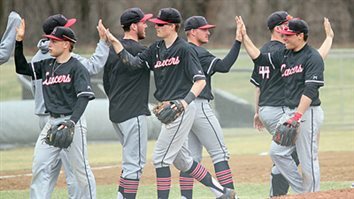 VERO BEACH, Fla. – The Grace College baseball team picked up its seventh straight win in the sweetest way imaginable — with a sweep of rival Bethel over the weekend. 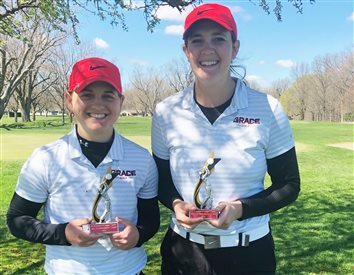 CLERMONT, Fla. – Grace College’s softball team picked up a marquee win on Friday with a 6-4 victory over Northwestern Ohio. 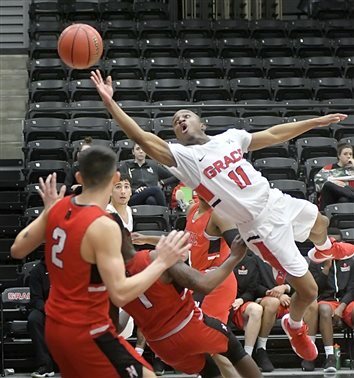 WINONA LAKE – In a final tuneup for next week’s NCCAA National Championships, the Grace College men’s basketball was impressive Thursday evening. WINTER HAVEN, Fla. – Late in Wednesday’s game, Grace College’s baseball team found itself trailing 8-2 against Robert Morris. 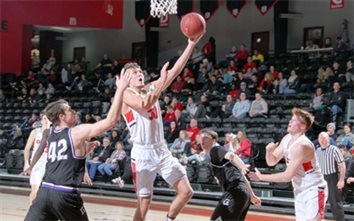 WINONA LAKE – The Grace College men’s basketball team will host an NCCAA Regional game Thursday. 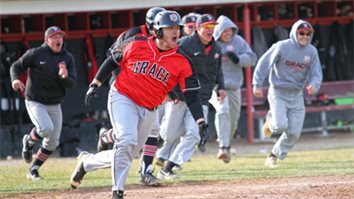 WINTER HAVEN, Fla. – A day after scoring 13 runs, Grace College’s baseball team upped that production even more on Tuesday. 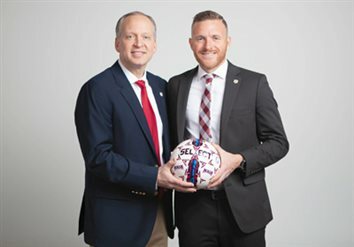 Sweetwater Sound founder and CEO Chuck Surack emphasized his business values, as mirrored in the Boy Scout law, before some 400 agricultural, educational and community leaders Tuesday morning at the Fifth Annual Barn and Business Breakfast. WINTER HAVEN, Fla. – The Grace College baseball team earned its first victory of the year on Saturday in Florida. 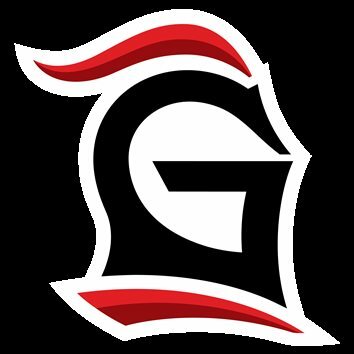 WINONA LAKE – The Grace College baseball team will have a new look as the 2019 season gets underway. 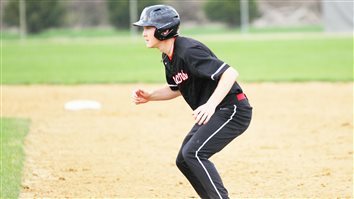 WESTFIELD – The Grace College baseball team fell twice in the season opener against Lourdes University on Wednesday. 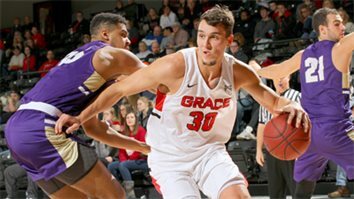 WINONA LAKE – Grace College men’s basketball players Logan Godfrey and Haden Deaton were named to the All-Crossroads League Team, announced on Wednesday. 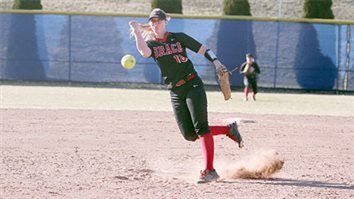 WINONA LAKE – Grace College’s softball team is ready to hit the diamond. NEW ALBANY – Head coach Sarah Harman started her career as Grace College’s softball coach with a sweep of IU Southeast on Monday. 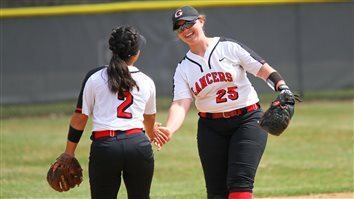 The Lady Lancers won 5-2 and 5-1 on the road to start the 2019 campaign. MARION – Grace College’s women’s basketball team made a valiant upset bid against No. 22 Indiana Wesleyan University on Tuesday. 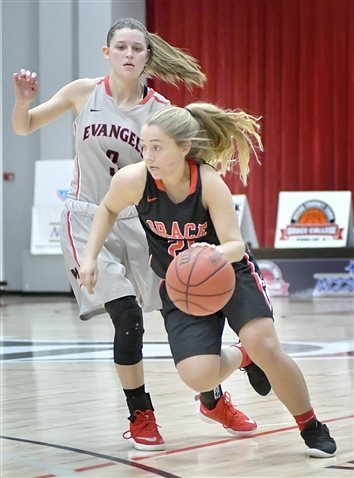 Brooke Sugg made a buzzer-beating three-pointer to send the Crossroads League Tournament opener to overtime, but the Lady Lancers (16-15) came up short in the extra period, falling 81-74 in the quarterfinals. Jim Kessler told the world Monday morning what has been on his heart this winter. 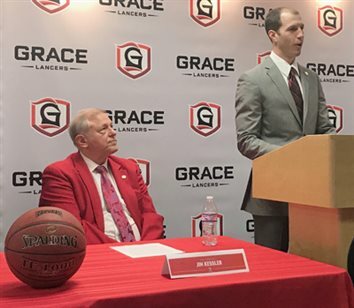 Grace College Director of Athletics Chad Briscoe talks about longtime men’s basketball coach Jim Kessler during a press conference this morning. 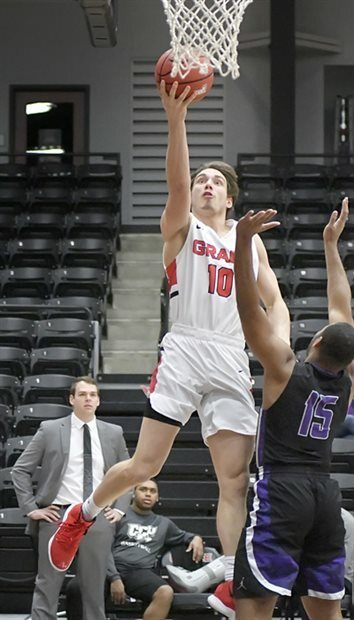 UPLAND – The strong late season play for Grace College’s men’s basketball team continued on Saturday with a 79-67 win at Taylor University. The Lancers (15-15, 5-13 Crossroads League) have now won four of their last six games to close out the regular season. 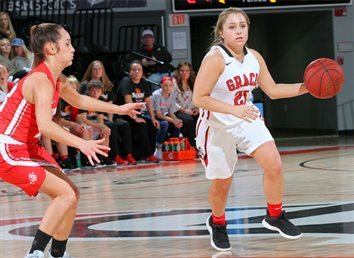 WINONA LAKE – The Grace College women’s basketball team continued its winning ways with a 73-57 upset of Crossroads League rival Huntington University on Wednesday. WINONA LAKE – Playing the final regular season home game of his college career, Logan Godfrey turned in a memorable performance Tuesday night at the Manahan Orthopaedic Capital Center. WINONA LAKE – The Grace College men’s basketball team could not keep up with the firepower of No. 11 Marian, losing 83-74 on Saturday. 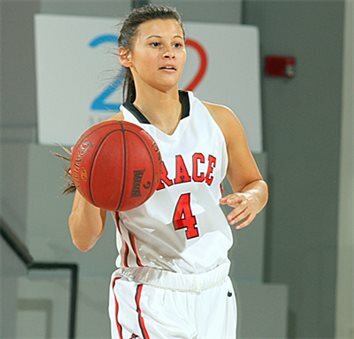 WINONA LAKE – Grace College’s women’s basketball team was unable to sustain a second quarter lead, falling 71-62 to No. 7 Marian University on Saturday. 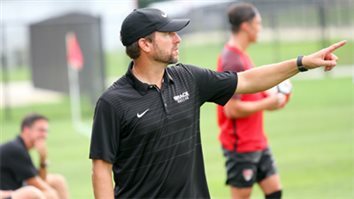 WINONA LAKE – Longtime Grace College men’s soccer coach Matt Hotchkin has accepted the head coaching position at Bob Jones University (S.C.). Hotchkin is returning to his roots with the move, having graduated from Bob Jones University. 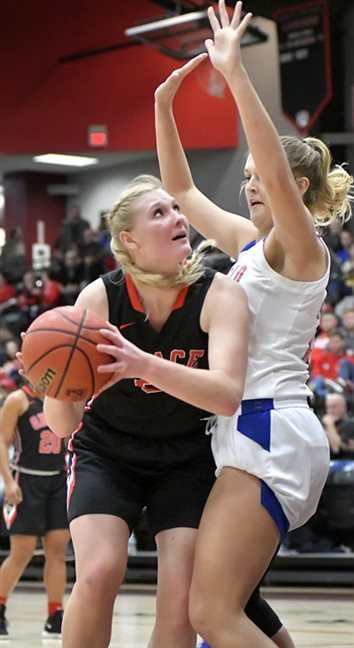 FORT WAYNE – The late-season surge continued on Wednesday for Grace College’s women’s basketball team thanks to a 70-63 upset of 25th-ranked University of St. Francis. 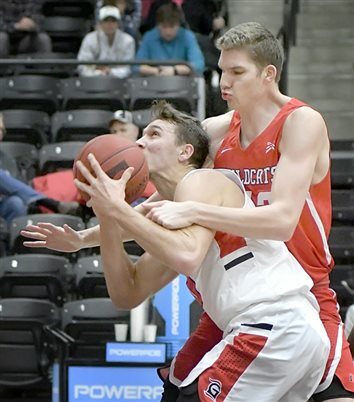 FORT WAYNE – The Grace College men’s basketball team employed a dominant attack to beat University of St. Francis 92-89 on Wednesday. The Lancers (13-14, 3-12 Crossroads League) shot 57 percent as a team, including a 62 percent performance in the first half. MISHAWAKA – The Grace College women’s basketball team completed a season sweep of rival Bethel, sinking the Pilots 79-66 on Saturday. 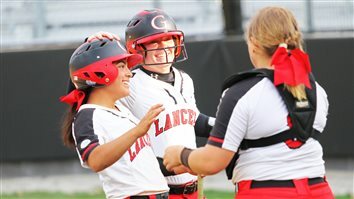 The Lady Lancers (14-12, 8-6 Crossroads League) stretched their season-best winning streak to four games and continued to climb the league standings. Grace now sits in a three-way tie for fourth place with four games remaining in the regular season. MISHAWAKA – Grace College’s men’s basketball team suffered its worst offensive output of the year in an 85-58 loss at No. 14 Bethel on Saturday. The Lancers scored their fewest points of the season, struggling in nearly every offensive category. Grace shot 38 percent from the floor, 19 percent from the three-point line and 54 percent from the foul line. WINONA LAKE – A dominant third quarter was all the Grace College women’s basketball team needed to beat Crossroads League rival Goshen Colle 69-43 on Tuesday. 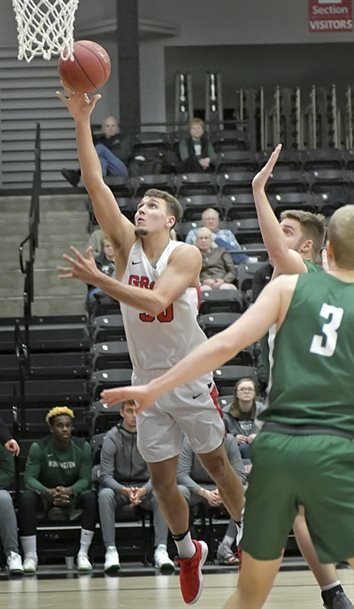 WINONA LAKE – Grace College’s men’s basketball team ended a seven-game skid with a 76-67 win over Crossroads League fo Goshen College Tuesday at the Manahan Orthopaedic Capital Center. 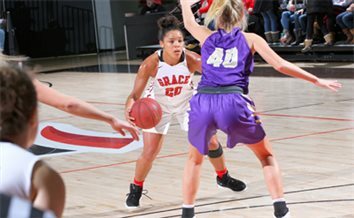 MOUNT VERNON, Ohio – Grace College’s women’s basketball team picked up its second road win of the week, downing Mt. Vernon Nazarene University 76-65 on Saturday. 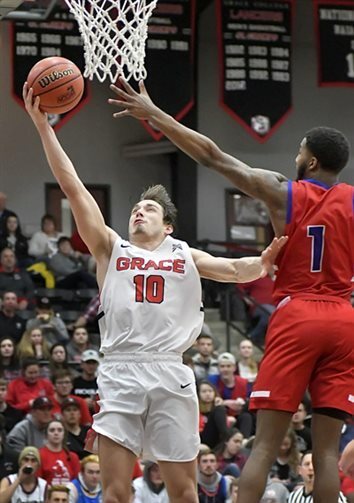 MOUNT VERNON, Ohio – Grace College’s men’s basketball team suffered another narrow defeat, just missing a chance to upset the No. 6-ranked team in the NAIA. SPRING ARBOR, Mich. – Grace College’s women’s basketball team snapped its slump with a 66-49 pounding of Spring Arbor on Wednesday. 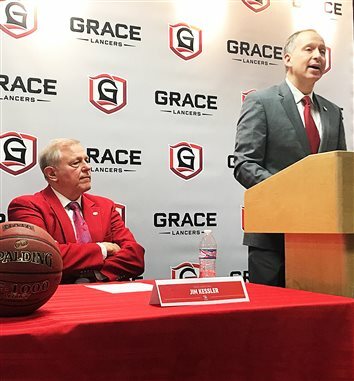 SPRING ARBOR, Mich. – As has been the unfortunate theme this year, Grace College’s men’s basketball team came up just shy of another marquee upset. 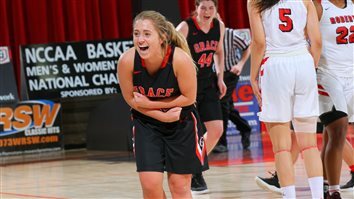 WINONA LAKE – With 1.3 seconds remaining on Saturday, Grace College’s women’s basketball team thought it had locked up an upset of No. 11 Taylor University. WINONA LAKE – Grace College’s men’s basketball team was unable to recover from a sluggish start on Saturday, losing 81-74 to Crossroads League rival Taylor University at the Manahan Orthopaedic Capital Center. 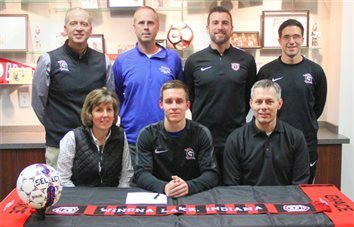 WINONA LAKE – Bethany Christian High School standout Cedric Brenneman has decided to continue his education and soccer career at Grace College. WINONA LAKE – Grace College’s women’s basketball team could not piece together an upset of No. 16 Indiana Wesleyan University, falling 80-67 on Wednesday in Crossroads League action. WINONA LAKE – Grace College’s men’s basketball team was close Tuesday night.